Over the years I’ve taken thousands of photos of cars. Some of my favorite photos are the low-slung, up-angle over the hood of a Porsche 356 or 911. The bubble of the fender, shoulders the landscape behind it while the chrome reflection in the hood handle frames the view in front. 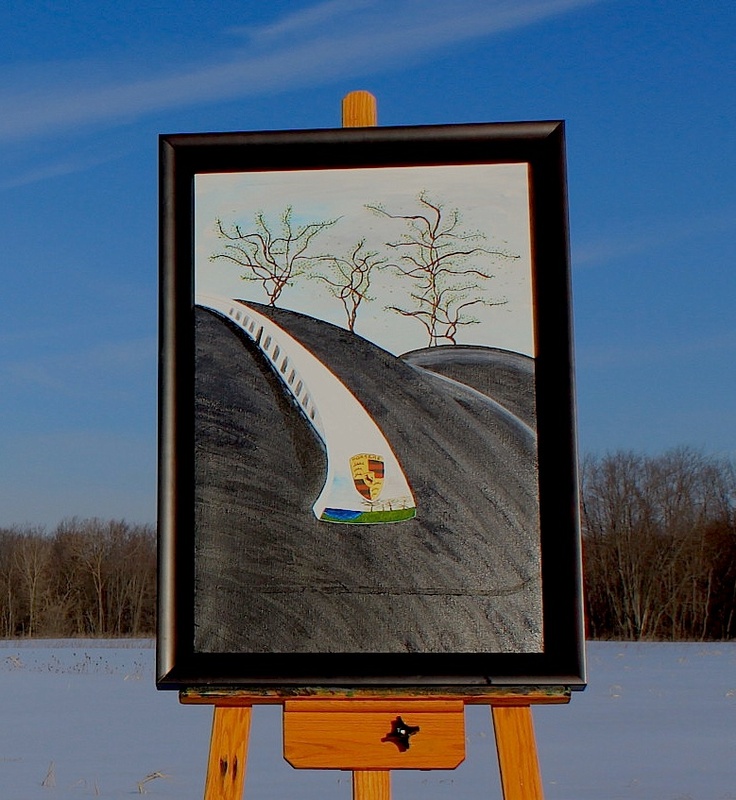 I spent so much time repeating this camera angle and admiring the resulting photos, I thought I’d replicate it on canvas. 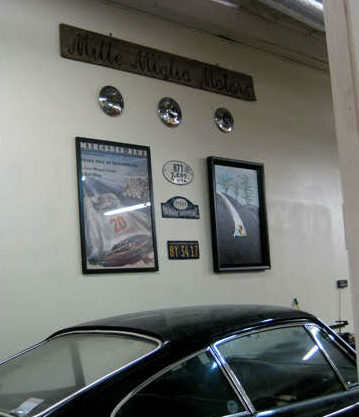 “Porsche 356” hung at Classic & Speed Parts, a Porsche parts company in Pasedena, California, in 2008-09 on loan to William Pringle, the owner and founder. The photo was taken in Dexter, Michigan on a bitter cold day after a freezing rain glazed the fallen snow.